Neuroticism (vs. Emotional Stability), Extraversion (or Surgency), Openness to Experience (also called Culture or Intellect), Agreeableness (vs. Antagonism), and Conscientiousness. As a memory aid, note that the first letters can be rearranged to spell OCEAN, a term that suggests the vast scope of this model in encompassing personality traits. Personality is structured hierarchically; at the broadest or domain level are the Big Five, and below them, at a lower level of generality, are narrower traits or facets. Thus, each of the Big Five dimensions is a combination of several distinct but closely related traits or characteristics. For example, most people who like to cooperate with others are also more honest and compassionate. Although there are individual exceptions to this rule, the associations among these characteristics in the general population are strong enough to justify combining them under the broader category of Agreeableness. When specific facets are formally included in a Big Five model, the term Five-Factor model is commonly used to describe the hierarchy. People who score high on Neuroticism are emotionally sensitive; they become upset easily and frequently experience negative emotions. Individual facets include sadness, anger, anxiety/worry, self-consciousness, vulnerability to stress, and a tendency to act impulsively. People who score low on Neuroticism are emotionally stable and calm. Even under stressful conditions, they remain confident and experience few negative emotions. Highly extraverted people are warm, talkative, and generally like to be around others. They are assertive, active and full of energy, cheerful and high in positive affect, and they prefer stimulating environments. Introverted people, in contrast, like to be alone or with a few close friends. They rarely want to lead others. They are reserved and serious, value their independence, and prefer quiet environments. People who score high on Openness to Experience are curious, imaginative, have broad interests, and easily embrace unconventional ideas and values. Other facets include sensitivity to aesthetic experiences and fantasy, as well as a rich emotional life. People who are low in Openness have a narrower set of interests and are more conventional in their outlook and behavior. They are closed to new ideas, actions, and value or belief systems. They also experience their emotions less intensely. Highly agreeable people are altruistic, cooperative, compassionate, and trust the good intentions of others. The facets of modesty and straightforwardness are associated with Agreeableness as well. Disagreeable people, in contrast, tend to be characterized by antagonism, skepticism, and a competitive rather than cooperative take on life. Although the Big Five are most easily characterized by their extreme poles, it is important to keep in mind that relatively few people are at the extremes. Most people are around the middle of the continuum. The American trait approach to personality, from which the Big Five were derived, originated in the 1930s. Whereas previous approaches to personality research tied their inquiries to theoretical preconceptions, the trait approach focused on data, especially on the analysis of person-descriptive adjectives found in common speech. Words like shy, irritable, or inquisitive are part of every natural language and illustrate the typical patterns of how people think and talk about themselves and others. The trait approach aims to identify the broad dimensions underlying such everyday personality descriptions. Because of its focus on language analysis, this line of research is also called the lexical approach. Today, there is a wide range of theoretical perspectives regarding Big Five research. Researchers in the lexical tradition such as Lewis R. Goldberg and Gerard Saucier have been content to describe the structure of personality traits without attempting to explain their causes or consequences. Others have focused on relatively specific aspects of the Big Five. Interpersonal researchers such as Jerry S. Wiggins examined the relationship patterns that are associated with certain personality characteristics central to social interactions. Based on increasing evidence for a genetic basis of the Big Five, David M. Buss and other evolutionary psychologists have studied the implications of certain trait configurations for reproduction and survival. The Five-Factor Theory (FFT) postulated by Robert R. McCrae, Paul T. Costa, Jr., is a more comprehensive theoretical account that addresses the structure of the personality system as well as its causal underpinnings and real-life consequences. According to FFT, personality traits are genetically based biological dispositions. Depending on our relative standing on these basic tendencies and in interaction with our individual environment, we develop specific patterns of thoughts, feelings, and behaviors (also referred to as characteristic adaptations) that in turn influence our objective biography. Although our standing on the five basic tendencies is thought to remain generally stable over time, characteristic adaptations may change. For example, a woman who is high in Neuroticism (basic tendency) may develop coping strategies (characteristic adaptations) that help her deal with stressful situations, and this allows her to take on a challenging new job (objective biography). Nevertheless, she is still high in Neuroticism and remains more emotionally sensitive than the average person. 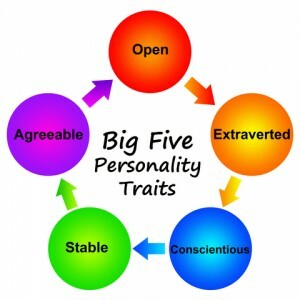 The Big Five are commonly measured by asking people to describe themselves on questionnaires. Some measures are simply lists of person-descriptive words (e.g., “talkative”), but such adjective lists tend to be ambiguous because of their lack of interpretive context. Whole sentences (e.g., “I enjoy parties with lots of people”) provide a better assessment of personality. As an alternative to such self-reports, relatives, friends, or other people who know a person very well may provide observer ratings for this person’s personality. 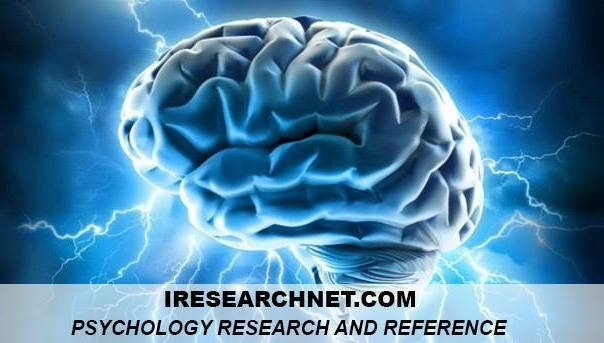 A comprehensive assessment of personality is provided by the NEO Personality Inventory-Revised (NEO PI-R). Based on people’s agreement with 240 short sentences, the NEO PI-R not only provides scores for the five broad domains but also scores for six subordinate dimensions (or facets) within each of the Big Five. From early infancy, children show individual differences in general activity or irritability. These biologically based tendencies (also referred to as temperament) evolve into differentiated personality traits over the course of childhood. The familiar Big Five structure was found in children as young as elementary school level and appears to be firmly established by adolescence. In adolescence and early adulthood, personality changes in predictable ways. On average, people become less neurotic and extraverted and more agreeable and conscientious. Openness peaks in young adulthood and declines thereafter. After the age of 30, personality remains comparatively stable, although small changes continue in these same directions. Over the years, the Big Five have been linked to a wide range of relevant outcomes. To give just a few examples, people who score high in Neuroticism cope more poorly with stressors and are more likely to be diagnosed with psychiatric disorders; extraverted people have a higher number of romantic partners and excel in sales and management positions; open individuals do well in creative professions; low Agreeableness is associated with juvenile delinquency; and high Conscientiousness is related to healthy behaviors and greater longevity—arguably the most important “outcome” of all. When it comes to evaluating the real-life implications of the Big Five, it is important to examine the full profile of a person’s personality instead of focusing only on individual traits. For instance, people who score high in Neuroticism are more likely to abuse drugs if they are also low in Conscientiousness, and people with clinical depression have less chance of recovery if they are not only high in Neuroticism but also low in Extraversion. The wide range of real-life implications of the Big Five traits illustrates that understanding the basic structures that underlie a person’s personality is not merely an academic exercise but highly relevant for helping clinical psychologists, personnel recruiters, teachers, or health care workers adjust their strategies to the individual needs and abilities of their clients. McCrae, R. R., & Costa, P. T., Jr. (2003). Personality in adulthood: A Five-Factor Theory perspective (2nd ed.). New York: Guilford Press. Piedmont, R. (1998). The Revised NEO Personality Inventory (NEO PI-R). New York: Plenum.